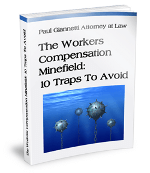 What Is a “Variance” under the New York State Workers’ Compensation Board Medical Treatment Guidelines? New York’s medical treatment guidelines pertain to the neck, back, shoulder, and knee injuries. In the future, it is expected that additional guidelines will be published to address other types of injuries. The medical treatment guidelines set forth a specific sequential course of treatment. If the treating physician or chiropractor follows the criteria set forth in the guidelines, the treatment is automatically authorized and no prior approval is required. However, if the physician provides medical care that is not consistent with New York’s written guidelines, the insurance carrier will not be liable for that treatment. In many instances, a physician will determine that the necessary treatment is not set forth in New York’s medical guidelines. In this instance, the physician is required to utilize the variance request process. In essence, the doctor is requesting authorization to provide medical care that is outside the written treatment guidelines. Form MG-2 is utilized by the attending doctor. The insurance carrier has 15 days to respond to the variance request or has 30 days to secure an independent medical examination addressing the need for the treatment requested. If the carrier has refused to grant the variance, he or she can attempt an informal resolution with the insurance carrier which is rarely successful. If that doesn’t work, the injured worker can request a hearing before a Law Judge or can consent to a resolution by a medical director, an employee of the New York State Workers’ Compensation Board. Because the variance process is very new in New York, it is difficult to determine whether or not it will be successful. However, it is not recommended that the medical director be allowed to render a decision in any of these cases. Our experience has been that the medical directors may be motivated to deny treatment whereby a Law Judge will be more objective and willing to render a fair decision on whether treatment is needed. If you have any questions about authorization for your medical treatment in New York, feel free to contact our office.